Subscription / Gala / Christmas Concerts / 26 SSO Chamber Series / 50 Families & Schools / 52 Free Concerts / 60 Index / 73 Tickets & Packages / 75 Victoria Concert Hall: Home of the SSO Esplanade Concert Hall: Performing Home of the SSO Orchestra photography by Lertkiat Chongjirajitra. The information in this publication is correct at press time but the SSO reserves the right to change programmes or artists without prior notice. Bruckner (Nos. 3 and 9). We will also play rarely heard masterpieces such as Bartók’s Piano Concerto No. 1, Prokofiev’s Violin Concerto No. 1, Shostakovich’s Cello Concerto No. 2 and Lutoslawski’s Symphony No. 4. Look forward to the dazzle and drama of opera’s finest in the concert version of Puccini’s La Bohème and a 65-minute “Orchestral Adventure” based on Wagner’s Ring Cycle, as well as gala appearances by virtuoso soprano Diana Damrau, star pianist Lang Lang and award-winning violinists Janine Jansen and Leonidas Kavakos. We are also honoured to play a part in celebrating Finland’s 100th year of Independence in December. 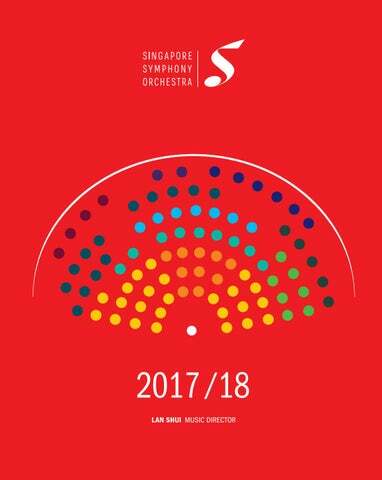 We continue to champion with pride the music of Singapore composers, focusing on works that the SSO has commissioned and premiered in the past, such as the compositions of Tan Chan Boon, Er Yenn Chwen, Diana Soh and Kelly Tang. The SSO will also present the music of leading Thai composer Narong Prangcharoen as well as a world-premiere of the young Malaysian pianist-composer Tengku Irfan. I take this opportunity to thank our esteemed friend Lim Yau, outgoing Choral Director of the Singapore Symphony Chorus, for the tremendous work he has done with the Chorus and Orchestra – many a magnificent voice has resounded on the stage under his direction. We welcome Eudenice Palaruan, Choral Director, who has built a strong connection with the chorus over the past year. I am also pleased to announce the appointment of our new Principal Guest Conductor: Andrew Litton. We warmly welcome him to the SSO family. Andrew combines his excellent musicianship and extensive experience with the great rapport he has with our orchestra. Tchaikovsky said, “Music is indeed the most beautiful of all Heaven’s gifts to humanity wandering in the darkness. Alone it calms, enlightens, and stills our souls. ... a true friend, refuge, and comforter, for whose sake life is worth living”. See you in the concert hall! Francisco Symphony, and Baltimore and Detroit symphony orchestras. In Europe he has performed with Deutsches Symphonie-Orchester Berlin, hr-Sinfonieorchester, Danish National Symphony Orchestra, Radio-Sinfonieorchester Stuttgart des SWR, Deutsche Radio Philharmonie, Gothenburg Symphony, Tampere Philharmonic and Orchestre National de Lille. In Asia he has conducted the Hong Kong, Malaysian and Japan Philharmonic orchestras and maintains a close relationship with the China Philharmonic and Shanghai Symphony. Since 1998 Shui has recorded over 20 CDs for BIS - including a Rachmaninov series, a Seascapes disc and the first-ever complete cycle of Tcherepnin’s symphonies with the Singapore Symphony Orchestra – and also music by Arnold and Hindemith with the Malmö Symphony Orchestra, which has received two Grammy nominations. Lan Shui is the recipient of several international awards from the Beijing Arts Festival and the New York Tcherepnin Society, the 37th Besançon Conductors’ Competition in France and Boston University (Distinguished Alumni Award) as well as the Cultural Medallion – Singapore’s highest accolade in the arts. Born in Hangzhou, China, Shui studied composition at the Shanghai Conservatory and graduated from The Beijing Central Conservatory. He continued his graduate studies at Boston University while at the same time working closely with Leonard Bernstein at the Tanglewood Music Festival. He has worked together with David Zinman as Conducting Affiliate of the Baltimore Symphony Orchestra, as Associate Conductor to Neeme Järvi at the Detroit Symphony Orchestra, and with Kurt Masur at the New York Philharmonic and Pierre Boulez at The Cleveland Orchestra. *With deep appreciation to the Rin Collection for their generous loan of string instruments °Igor Yuzefovich plays an instrument generously loaned by Mr & Mrs G K Goh Musicians listed alphabetically rotate their seats on a per programme basis. MU SICIA N C H AIR To continue to be one of the most outstanding orchestras in the region, the Singapore Symphony Orchestra needs to recruit and maintain its pool of talented musicians. We would like to thank the following organisations for their generous support for our Musician Chair programme. BE A PLATINUM FRIEND FOR $1,000 10 top-priced tickets to any concert* 25% off Subscription concerts 2 tickets to the popular SSO Christmas Concert2 An SSO gift * Valid for all concerts (excluding Babiesâ&#x20AC;&#x2122; Proms, Christmas, Gala, Pops and special concerts). tickets: Valid for Subscription, Chamber and Discovering Music! Concerts only, unless otherwise stated. 2 Subject to availability. For more details, visit www.sso.org.sg/friends or contact our Friends officer at friends@sso.org.sg. SSO REC O M M E N D S Thinking of watching a SSO concert but not sure where to start? Let us guide you on your musical journey. CONCERTS FOR BEGINNERS These concerts help guide beginners embarking on their first concerts, enhancing their understanding and appreciation of classical music and the orchestra. SSO Discovering Music! SSO Pops Concerts SSO Outdoor and Community Concerts FREE! CONCERTS FOR FAMILIES AND YOUNG PEOPLE READY FOR MORE? Kids love coming to the orchestra, and these are our most popular children’s concerts! Becoming more comfortable with classical music, and would like to listen to more? These concerts introduce you to a wider range of composers and music. B R AH MS SYMPH O N I E S In 1896, just a year before his death, Brahms conducted a concert featuring both his piano concertos. It was to be his last time conducting. In the celebratory dinner given in his honour afterwards, his lifelong friend and musical collaborator Joseph Joachim raised a glass to begin a toast, exclaiming, “To the greatest composer…” - to which Brahms quickly interjected with, “Quite right – here’s to Mozart!” This image of Brahms, celebrated yet self-deprecating, reflects a witty and humorous composer who spent many years worrying if he could surmount the legacy of Beethoven. In 1870 he wrote “I shall never write a symphony”. His First Symphony took nearly 20 years to gestate and was finally completed when he was 43. By 1897 Brahms had written four, which have become staples in all symphony orchestras today. Rooted in traditional Classicism but forging his own path, Brahms’ style is of the unpretentious innovator - unassuming in spirit, resounding in legacy. Lan Shui conducts the SSO in a complete Brahms Symphony Cycle in 2017, the 120th anniversary of the composer’s death. EN JOY C O N C E RTS M O R E Make the most out of your concert experience. Come join us for our series of fringe events designed to help you enjoy the music even more! 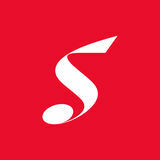 Discover new insights into the music you are about to hear in the concert hall. Let our specialist speakers enrich your experience in the world of classical music. Pre-Concert Talks are held from 6.30pm to 7pm. That amazing concert you just watched is the result of several rehearsals and a lot of hard work. Open rehearsals offer a behind-the-scenes perspective of how the conductor shapes every note and phrase with the orchestra, and how the individual sections come together as a harmonious whole. POST-CONCERT SYMPHONY CHAT Join our conductors and guest artists at the Symphony Chat where they will share their deepest thoughts and ideas on music. If you have a question about what youâ&#x20AC;&#x2122;ve just heard, this is the perfect opportunity to get it answered. AUTOGRAPH SESSION Autograph sessions are arranged for selected SSO concerts, to allow you the opportunity to meet the performers and offer your compliments. View our schedule of autograph sessions on www.sso.org.sg. GIL SHAHAM • BRAHMS SYMPHONIES EVENING, DREAMS, FANTASY. A NEW SEASON. Lan Shui and the SSO open the season with Tan Chan Boon’s Soir, Rêves, Fantaisie. Lyricism, fantasy and mischief come alive in Prokofiev’s Violin Concerto No. 1 under the bow of Gil Shaham. Lan Shui begins the SSO’s Brahms Symphonies cycle with the epic Symphony No. 1 in C minor, a work that Brahms wrote and refined over a period of 21 years, embodying all the hallmark qualities of the German Romantic master. Young Canadian pianist Charles Richard-Hamelin takes the lead in Chopin’s lyrical Second Piano Concerto, written when the composer was just 20, akin to the Armenian Suite which Richard Yardumian – who was born 100 years ago in 1917 – wrote when he was 19. The youthful first half of this programme gives way to the gentle ebb and flow of Liadov’s The Enchanted Lake, before ending with the evocative soundscapes and gleaming final chords of Scriabin’s aptly titled Poem of Ecstasy. Expect lush, sweeping soundscapes as Polish star conductor Michal Nesterowicz takes on two magnificent works from Respighi: the Pines of Rome and Fountains of Rome. Completing the programme is Beethoven’s glittering masterpiece, the Piano Concerto No. 3 in C minor, with soloist Anna Tsybuleva – winner of the 2015 Leeds International Piano Competition. Two works of deep feeling and grandeur: one the most regal of piano concerti exuding tender beauty and assured optimism; the other a symphony of power and lyricism ending in heartbreak. Bringing fresh insights to these masterpieces is Singaporean conductor Wong Kah Chun, winner of the Gustav Mahler Conducting Competition in 2016, with rising star Shai Wosner on piano. “Incomparable strength from start to finish” – so said the conductor Hans von Bülow of Brahms’ final symphony, the only one of his symphonic oeuvre that ends in a minor key. Japanese violinist Daishin Kashimoto, 1st Concertmaster of the Berlin Philharmonic, takes on the achingly beautiful Violin Concerto by Mendelssohn while SSO Principal Trumpet Jon Paul Dante presents the tuneful Hummel Trumpet Concerto, one of the most popular of the genre. 21 this year, euphonist Kang Chun Meng is the soloist in this year’s President’s Young Performers Concert, which also features Singapore-born composer Er Yenn Chwen’s Symphonia Anamneseos. SSO Associate Conductor Joshua Tan directs Beethoven’s heroic Third Symphony. Be inspired by the heroism and optimism in Copland’s Third, popularly known as “America’s Great Symphony”. SSO Principal Guest Conductor Andrew Litton doubles up as solo pianist, partnering our concertmaster Igor Yuzefovich and principal cello Ng Pei-Sian for the chamber-like Triple Concerto in C by Beethoven. The Schicksalslied, a portrait of spiritually blinded mortals and Elysian spirits, is one of Brahms’ most ethereal and profound masterpieces. The concert opens with music from Malaysian child prodigy Tengku Irfan and ends with Brahms’ Second Symphony, suffused with Romantic pastoral sunshine. Music of shadows and luminance, calm and fanfare, Mahler’s Seventh Symphony has divided opinion with its vivid array of contrasting instrumental range, orchestral colour and moods. Whatever your perception of night, Mahler leads the listener through moonlit dreamscapes and grotesque nightmares, culminating in a finale of daylight. Written in the 1760s and lost for 200 years, Haydn’s Cello Concerto No.1 has become a staple of the cello repertoire since its rediscovery in 1961. On the other hand, Bruckner’s heroic Third Symphony, sometimes called the “Wagner Symphony”, exists in at least six versions. Catch these contrasting works with cellist Qin Li-Wei under the direction of Lan Shui. Sponsored by In Celebration of Tote Board’s 30 Years of Giving 1988 - 2018 to the Development and Promotion of Arts in Singapore. Leading Thai composer Narong Prangcharoen’s Phenomenon begins this fascinating programme with its invocation of mysterious natural phenomena. Then, explore the dark and eerie soundscapes of Shostakovich’s Cello Concerto No. 2, before concluding the night with Dvorák’s trademark symphonic melodies. The SSO presents the world premiere of A is for Aiyah, composed by young Singaporean composer Diana Soh, an alumnus of the Yong Siew Toh Conservatory of Music and currently based in Paris. French soprano Élise Chauvin brings us on a journey of Mahlerian song through five lieder based on the poetry of Friedrich Rückert, and then the avant-garde theatre of Ligeti’s Mysteries of the Macabre. Two nights of string quartets fit for a king, by Haydn and Mozart, pinnacles of the Neo-Classical era. The central hymn from Haydn’s Emperor Quartet was the national anthem of Austria for a time, while Mozart’s Prussian Quartets, written with the Prussian King’s interest in the cello in mind, were published two weeks after his premature death. The mercurial and expressive flavour of the French colour this varied programme, featuring the sublime combination of flute, viola and harp via Debussyan Impressionism; the sultry strains of songs from Gershwin’s Porgy and Bess and the unduly neglected music of George Onslow, a 19th century French composer of English descent. Russian-British violinist Alina Ibragimova joins us in an all-Russian programme across three Russian greats in their characteristic musical modes. The sweet yearnings of Tchaikovsky’s lyricism give way to the impish energy of Prokofiev and finally to the enigma of Shostakovich’s Third String Quartet, which he considered one of his best. From Gabrieli to Handel, take a trip with UK period instrument violinist Peter Hanson through the elegance and riches of the Baroque greats, whose genius is displayed in their rich writing for voice and instrument – for which they often treated one like the other. S WIR E-SSO TI C KETI N G SC H E ME F O R S C H O O L S Since its launch in January 2013, the Swire-SSO Ticketing Scheme has benefited over 30,000 students, enabling them to enjoy world-class performances by the SSO in the Esplanade Concert Hall at subsidised ticket prices as low as $10. Larger school groups were also rewarded with a free music appreciation talk in their campus to enhance their concert experience. Schools are able to use the Tote Board Arts Grant to subsidise up to 50% (excluding GST) of the final ticket price. Prices before $1 booking fee. Enjoy a complimentary talk with every school booking of 20 tickets. Suitable for children aged 6 and below. Tickets are required for children aged 2 and above. Each concert lasts one hour, and pre-concert activities will be held 30 minutes before the respective show. DISCOVERING MUSIC! It’s another round trip of musical exploration with SSO Associate Conductor Jason Lai! Learn about the life of the composers behind the music and how they make whole symphonies out of building blocks of musical themes. Find out what went into Brahms’ last symphony, the dark visions and heady dramas of Berlioz’s “Fantastic Symphony” as well as Bartók’s exhilarating Concerto for Orchestra, where everyone on stage is a soloist! conductor Family packages & school packages available. Suitable for ages 5 and above. Please visit www.sso.org.sg for event updates. Since its launch in 2005, the SPH Gift of Music series has reached out to tens of thousands of Singaporeans through its many free performances in the heartlands, parks, concert halls and shopping malls. Admission is free. Outdoor concerts are subject to prevailing weather conditions. The Singapore Symphony Chorus (SSC) was inaugurated in 1980 under the direction of Choo Hoey, then Music Director of the SSO, giving its first performance on 13 June 1980; and in its 37-year history, has established itself as one of the finest choirs in the region and one of the few symphony choruses in Southeast Asia. The chorus has worked with renowned conductors such as Peter Erdei, Eric Ericsson, John Nelson, Claus Peter Flor, Okko Kamu, and Masaaki Suzuki. They have amassed a wide repertoire over the years, performing such works as Orff’s Carmina Burana, Rachmaninov’s The Bells, Tippett’s A Child of Our Time, Macmillan’s Seven Last Words from the Cross, Kodály’s Missa Brevis, Arvo Pärt’s Te Deum, choral masterpiece Britten’s War Requiem, and baroque classic Bach’s St John Passion, amongst many others. Brought together by a love of choral singing, the SSC gathers both locals and newcomers of Singapore. Their occupations range from biochemists to tour guides to lawyers, with diverse hobbies that include rock climbing, scuba diving and Chinese calligraphy. Formed in 2006, the Singapore Symphony Children’s Choir (SSCC) has established itself as the leading children’s choir in Singapore. It seeks to enrich the lives of young singers between the ages of 9 and 16, through a holistic choral training programme that nurtures artistic growth and personal development. Since its debut performance in 2007, the SSCC has given many successful concerts, including appearances with the Singapore Symphony Orchestra (SSO) in Mahler’s Third Symphony, Beethoven’s Ninth Symphony, Berlioz’s The Damnation of Faust, Orff’s Carmina Burana, Britten’s War Requiem, and Bizet’s Carmen. The SSCC is also a regular feature in the orchestra’s annual Christmas concerts. It has performed at the Philharmonie de Paris in a collaborative performance of Berlioz’s Te Deum with the Maîtrise de Radio France, as well as at the Dewan Filharmonik Petronas, where it partnered the Malaysian Philharmonic Youth Orchestra in concert. The Singapore Symphony Children’s Choir recently recorded their first CD, And I’ll Sing Once More. The Singapore Symphony Youth Choir is the newest choral ensemble to be singing under the belt of the Singapore Symphony Orchestra. Formed in 2016 to enable mature members of the Singapore Symphony Childrenâ&#x20AC;&#x2122;s Choir (SSCC) to continue their development in classical choral singing, as well as for young adults to further their interest in choral singing, the SSYC is an extension of the SSCC and exists to artistically enrich young adults musically and vocally, and to primarily serve the Singapore Symphony Orchestra (SSO). Singaporeâ&#x20AC;&#x2122;s finest young choral singers aged between 14 and 28 revel in the best of all musical worlds and styles, ranging from orchestral to a cappella masterpieces covering the Renaissance period to contemporary music of the 21st century. The Singapore National Youth Orchestra (SNYO) occupies a special place in Singapore’s music community having produced a strong alumni contributing significantly to both seeding the Singapore Symphony Orchestra and other community orchestras in Singapore as well as teaching the next generation of budding musicians. The SNYO is recognised by the Ministry of Education as a National Project of Excellence. Entry into the SNYO is by a rigorous audition process. Members in mainstream secondary schools with sustained involvement in the SNYO will have their participation in the orchestra recognised in lieu of a school-based Co-Curricular Activity (CCA). Since April 2015, the SNYO started a new chapter with its management being transferred from the Ministry of Education to the Singapore Symphony Orchestra, allowing the SNYO to draw on the knowledge and expertise of Singapore’s national orchestra. The SNYO is made up of over 180 talented young musicians representing more than 60 schools across Singapore. Under its talent development programme, selected members receive individual tutoring from professional musicians including SSO musicians. S T A Y .
I N S P I R E D .
entertainment blend into a dynamic playground for you, the discerning traveller. Wake up in one of the 507 stylish guest rooms, savour tantalizing cuisines at award-winning restaurants, or explore world-class attractions, discover discreet luxury at one of the worldâ&#x20AC;&#x2122;s top destination. MUSICAL PRODIGY Organised by Symphony 924, The Young Talents Project 2017 is open to musicians and vocalists performing classical works. Finalists will perform to a live audience at the historical Victoria Concert Hall, and be featured on national television and radio. The overall grand winner will win a trip to Vienna, home to world renowned classical composers, plus cash prizes. CORPORATE BOOKINGS Please call +65 6602 4245 or email ticketing@sso.org.sg for assistance. Valid for Subscription Concerts only. Esplanade&Me, Gallery Insider & Kinokuniya Privilege Card: 10% off Subscription, SSO Chamber Series and Singapore International Piano Festival concerts (Cat 1-3). CONCESSIONS Senior citizens (55 years and above), full-time NSF men and full-time students enjoy concession discounts on production of identification. Venue ushers may request to view a valid concession pass. Concession tickets are strictly non-transferable. No admission for children below 6 years of age unless otherwise indicated. Babiesâ&#x20AC;&#x2122; Proms (25 & 26 Nov 17) Tickets not required for child under 2 if accompanied by an adult with a ticket. Prices before booking fees: $1 for tickets priced $20 and below, $3 for tickets priced $20.01 to $40, $4 for tickets above $40. If you need assistance, call our friendly Customer Experience team on 6602 4245 (Mon - Fri, 9am-6.30pm, closed on public holidays); or email ticketing@sso.org.sg. STEP 2 Fill in the ticket quantity under your selected concerts. We can help you with the final calculations if you are paying by credit card. Yes, please do my sums! Prices shown include booking fees. Your tickets will be mailed to you within two weeks. If you have an enquiry, please contact our Customer Experience Officer at +65 6602 4245 or ticketing@sso.org.sg. REC ORDING S Follow the SSO on Apple Music and Spotify. *This list includes donations of $10,000 and above. *This list reflects donations of $10,000 and above as at 26 April 2017.